At FKC our mission is all about making the world a healthier place. We understand the importance that good health can bring to everyone – bodies functioning optimally, people being the best that they can be, the improved lifestyles. We know that good nutrition can make people feel great and can enrich lives. We also know that the actual process of getting healthy can also bring a lot of fun and joy to everyone. What makes FKC’s great nutrition even better is knowing that it is shared with friendship, kindness and care. The friendships that are created by our customers, the kindness involved in helping others be the best they can be, and the care we all have for making people all over the planet the healthiest they can be. At FKC, We put people first. Our Mission is to elevate personal health and family wealth on a global scale by respecting and trusting all who partner with us. Our Business partners will be considered long –lasting friends; They will be treated with sincere kindness; And we will demonstrate that we care about their goals And dreams by supporting them with the best products, opportunity and services available. Watch the short video above to find out how the products are made. We are accredited by the following Quality Assurance institutions. FKC is unique in it's approach to promoting your health. FKC develops natural health supplements that contribute to healing damaged organ systems in the human body. The organs damage is caused by poor nutrition and diet, environmental pollution and toxic chemicals, stress, and aging. One in 5 adults will suffer from type 2 diabetes in their lifetime, causing serious such as blindness, heart disease, cancer, kidney failure, limb amputation, or even death. The fast food buffet mentality in eating claims tens of thousands of lives each year. It has fooled us into thinking that "feeling full" means our bodies are nourished when in fact we are actually overweight and starving nutritionally at the same time. A large percentage of adults are routinely taking prescription and over the counter drugs daily. Many of these chemicals are toxic to all body organs, especially when taken repeatedly or a long time. Environmental pollution is not showing any signs of slowing down and our bodies are bombarded with these noxious chemicals by inhalation, ingestion, or skin contact. Internally, our bodies naturally create toxic oxygen byproducts during respiration and physiological energy production. All together, it is miraculous that your body does not completely break down from all these poisons! In many people it actually does. Prevention may not be possible for most of us but natural healing is available through FKC health supplements proven through the positive testimony of many members. FKC targets specific health problems to allow the healing of damage in the body. 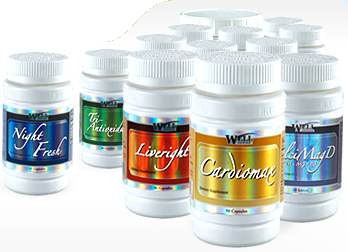 These focused dietary supplements are more effective in healing body systems because they target specific damage in organs and areas in the body with natural vitamins, phytochemicals, and herbal supplements. Scientific research has shown that people are unique in their healing needs and health problems. FKC has the science to prove that healing requires more than simple general nutrition. Credible scientific research is the core foundation of FKC dietary supplements. This strong scientific basis of the supplements is supported by a very high quality supplement manufacturing process, ensuring the best safe products.